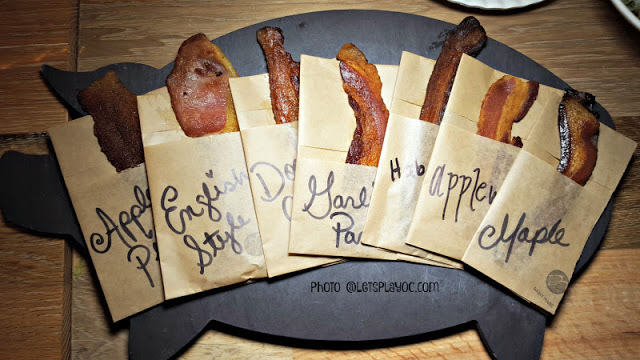 Stop What You’re Doing and Get to this ‘Bacon Bar’! As a ketogenic diet follower, nothing excites me more than the thought of a bacon bar! An establishment where their whole menu is made up solely of bacon deliciousness! 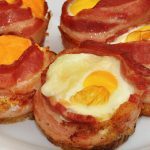 It’s a keto dream! Well that dream has now become a reality thanks to the team over at Saint Marc’s Restaurant at Huntington Beach, California. 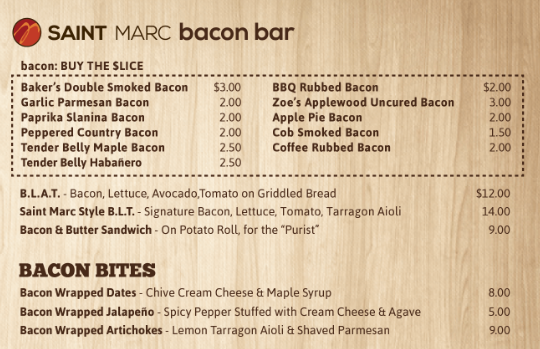 The bacon bar is the brainchild of Frank Belosic, Mac Gregory and the executive chef Jay Boginske. Clearly these men are geniuses of epic proportions, and will undoubtedly see their efforts being rewarded by Nobel Prizes and Knighthoods. Ok, so the bacon bar is not a standalone establishment, it’s is actually a section of the restaurant, with it’s own portion of the menu, but it still looks awesome! As you can see from the menu, a world of bacon treats are available! As well as the Bacon Bar menu, the restaurant offer a number of other keto friendly treats, such as their ‘Snouts and Sprouts’ House Special, consisting of Brussels sprouts, bacon lardons and sunny-side eggs. On the sides menu there is a delicious sounding ‘Broccoli and Cauliflower Gratin’ served with a roasted garlic mornay sauce. As you can see on the menu, there are non-keto offerings to be avoided, but with a selection of bacon like this, abstaining shouldn’t be too hard!